Photo Frenzy will run from June 1st through June 30th with many chances to enter, including daily entries! The prizes are all photo themed and we know you will love them all. The prizes will be given to one (1) winner. All these items have been reviewed by Couponing and Reviewing in Texas. Check out the prizes and reviews below. Couponing and Reviewing in Texas received all these products for the sole purpose of this review and giveaway post. No compensation has been or will be given for these reviews and giveaway post. 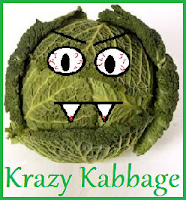 Couponing and Reviewing in Texas and Krazy Kabbage are not responsible for sponsor shipments.